Tech at Night: FAA admits its electronics rules were groundless. More NSA stuff. 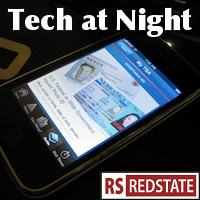 Tech at Night: Even Dianne Feinstein tells it like it is about Edward Snowden. We have two new FCC Commissioners. Tech at Night: A day late and a link short. Though it’s still apparent that the ‘leaks’ coming out such as this about Pope Francis are being crafted (not chosen, crafted) to sound plausible, attempting to push our buttons and play to our prejudices. Snowden’s accusations and ‘documents’ surely include the best fabrications Snowden’s Russian paymasters’ money can buy. Don’t forget, though: metadata is harmless to collect, as it involves collecting only that data which is already public. The problem with a specially anti-NSA email service is that it will be a magnet for terrorists, spies, organized crime, and traitors. This “Darkmail Alliance” will not end well. It’s an adverse selection problem, you see. Groups like Anonymous for example would love to use a service like that to plan attacks on American private business (which any DDoS in America is, as DDoS attacks always have lots of collateral damage) as well as countries like Indonesia or Australia. The great necessary transition from the old fashioned phone system needs to happen. The Internet’s underlying technologies should be used. It’s on FCC to get out of the way of the IP Revolution. FAA finally admits its electronics regulations had no basis in reality. Why is the librarian of Congress who took office before the Internet was used by the public making decisions about phone unlocking, again? DMCA has a lot of things that make a lot of sense but… not that part. I support Constitutional copyright. So should you.